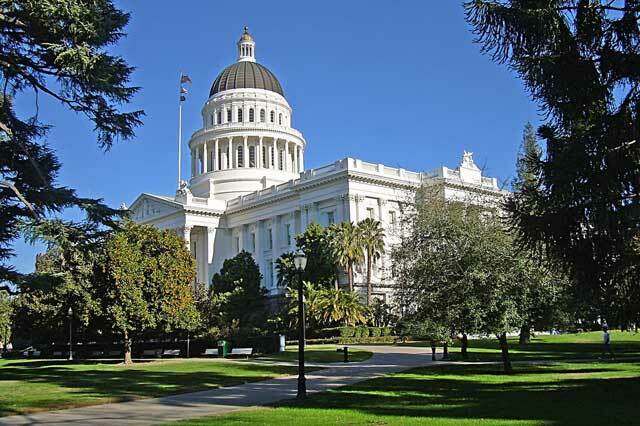 On April 8, 2014, California Assembly Bill 2140, proposing an end to killer whale performances and captivity in the state, was heard before the Assembly Water, Parks, and Wildlife Committee. InPark News Editor Joe Kleiman was inside the hearing room in the State Capitol Building to document the proceedings for IPM. After the hearing, he met with SeaWorld’s testifying witnesses, including San Diego park President John Reilly, and with the bill’s author, Assemblyman Richard Bloom of Santa Monica. We object to “Blackfish” because its two central premises are wrong: (1) that life at SeaWorld is harmful for killer whales and for trainers working with these animals, and (2) that SeaWorld has attempted to cover up the facts surrounding the tragic death of trainer Dawn Brancheau in 2010, as well the history of Tilikum, the killer whale involved in that accident. Nothing could be further from the truth. To make these ultimately false and misleading points, the film conveys falsehoods, manipulates viewers emotionally, and relies on questionable filmmaking techniques to create “facts” that support its point of view.
. . . All of the falsehoods and misleading techniques in “Blackfish” are employed in the service of the film’s obvious bias, one that is best revealed near the end of “Blackfish” by a neuroscientist with no known expertise in killer whales. She claims that all killer whales in captivity are “emotionally destroyed,” and “ticking time bombs.” These are not the words of science, and indeed, there is not a shred of scientific support for them. Rather, they are the words of animal rights activists whose agenda the film’s many falsehoods were designed to advance. They reveal “Blackfish” not as an objective documentary, but as propaganda. The film played over twenty times on CNN and through the social media efforts of those in the animal rights movement, became a leading tool utilized by a number of organizations and individuals dedicated to freeing the theme park chain’s orcas. Bloom, who served a three-year term on the California Coastal Commission, has a history of environmental legislation, including another current bill that would remove plastic microbeads from skin care products. He was encouraged to see the film and afterwards was put in touch with Dr. Naomi Rose, an adviser on the film who has been fighting orca captivity for close to two decades. Rose and other scientist-advocates helped Bloom draft the Orca Welfare and Safety Act, which eventually became AB-2140. The bill was introduced on February 20 in order to make the February 21 deadline for the introduction of new legislation. In its inital form, it was nothing more than minor wording changes to the Fish and Game Code Section 701.3, which lists the duties of the Director of the State’s Department of Fish and Wildlife. This was done to make sure the bill would be heard in the current legislative session although it was not actually ready to be introduced. On March 7, the bill was announced at a press conference at the Santa Monica Pier, and on March 28, it was re-written, taking out the provisions about the Director of Fish and Wildlife and inserting the proposed regulations on Orcas. It was then assigned to two committees, the first being the Water, Parks and Wildlife Committee on April 8. Had it passed this committee, it next would be heard in front of the The Arts, Entertainment, Sports, Tourism & Internet Media Committee. Many believe that SeaWorld would have the upper hand in this second committee hearing as it’s where the potential negative economic impact of the bill to the park, San Diego, and Southern California tourism would be discussed. It prohibits the use of orcas for performances or entertainment purposes. This includes people in close proximity to the animals without an “appropriate” barrier. It prohibits both natural and artificial reproduction of captive orcas and the export of sperm or eggs for artificial insemination purposes outside the state. It prohibits the sale, trade, or movement of any orca within state lines. It requires all orcas in captivity prior to enactment of the bill to eventually be released to the wild or to sea pens. Testifying in favor of the bill were Assemblyman Bloom, Dr. Rose, doctoral student Deborah Giles of the University of California Davis Biotelemetry Laboratory, and John Hargrove, a former SeaWorld senior orca trainer with experience in both the chain’s Texas and San Diego parks. 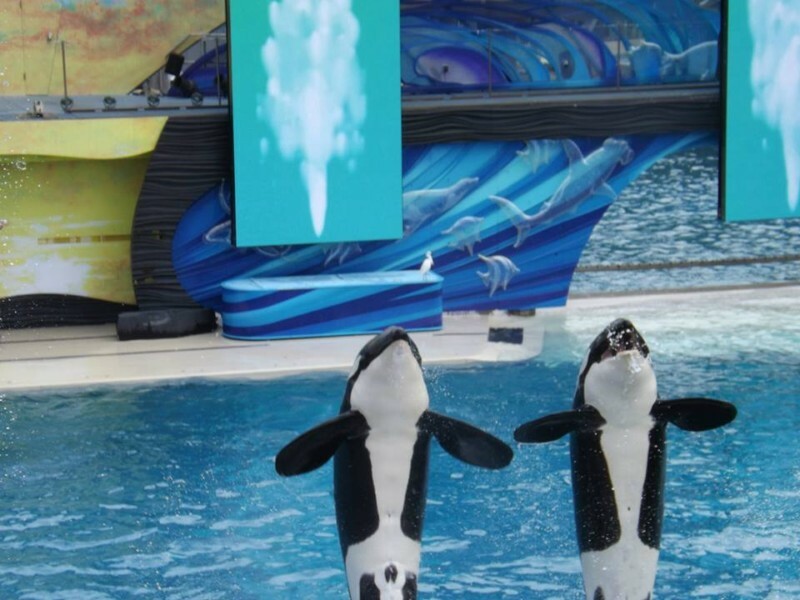 After arguing that captive conditions are not representative of orcas in the wild, Bloom countered a number of claims that have been made in the media about the bill. He said that even though it prohibits breeding, the orcas can remain on display for at least another two decades, that the bill “does not mandate the release of SeaWorld’s orcas back into the wild [sea pens are not considered being in the “wild” by the bill’s authors as they are controlled environments],” and that “the bill does not prevent trainers from interacting with the orcas . . . rather it prevents them from continuing what many consider glorified circus acts.” Bloom went on to mention the National Aquarium in Baltimore and Shamu Up Close, a program at SeaWorld Orlando in place while the main orca tank was being refurbished, as examples of what he considers appropriate marine mammal displays. Dr. Rose spoke of a number of characteristics she’s seen in SeaWorld’s orcas which she has not in their wild counterparts, including collapsed dorsal fins in males, worn down teeth, and signs of aggression. She believes that transfering the animals to sea pens would result in them exhibiting a more natural behavior. John Hargrove, speaking on behalf of himself and two other former trainers that appear in “Blackfish,” Carol Ray and Samantha Berg, spoke about what he considers “obsessive compusive” behavior caused by boredom of the orcas, which he says results in continued physical damage to the animals. NOTE: Portions of my interviews with SeaWorld’s witnesses conducted after the hearing are included here along with their testimony. Dr. Pam Yochem, executive vice president, Hubbs-Seaworld Research Institute. Reilly discussed much of the good that SeaWorld has done for the people of California – last year, the park paid $14 million to the City of San Diego, was an important component in steering $18.7 billion into the area’s tourism economy, and is San Diego’s tenth largest employer. 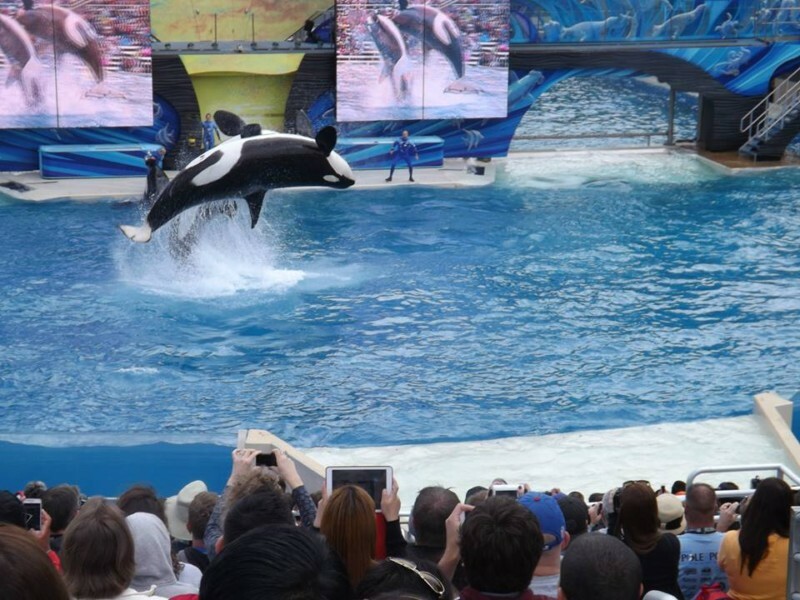 He expressed concern that a ban on shows would be detrimental to both the orcas’ physical and behavioral health, and that separating trainers from orcas would create trust issues with the animals. Reilly also brought up that one of the benefits to the public of having animals in its parks is that it allows access to them for scientific research. One of those researchers is Dr. Shawn Noren, of the Institute of Marine Sciences at the University of California, Santa Cruz. Dr. Noren is currently studying bioenergetics, the movement of energy flow through living systems, in Pacific walruses, a species being considered for listing under the Endangered Species Act. Because she studies walrus pups, and it is nearly impossible to approach one in the wild for the kind of work she does, she relies on zoological institutions such as SeaWorld at which she can her conduct research. Dr. Pam Yochem of the Hubbs-SeaWorld Research Institute, who has a degree in veterinary medicine from the University of California, Davis, explained during her testimony that the bill would cripple the opportunity to research orcas. As remote observation is not a viable option for much of this research, captive research becomes an instrument for progressing wild research. Dr. Chris Dold, SeaWorld’s head of veterinary medicine, expanded upon this further. I asked him about the proposed ban on reproduction and he pointed out, “The Southern Resident population of orcas in Washington is seeing a major decrease in numbers. We don’t know why they’re not reproducing like they should. But when our whales are pregnant, be it natural or through artificial means, there are researchers that come to our parks and study the gestation period, that monitor the pregnancy.” Dold pointed out that it does not matter where the orca is from, reproductive biology in all orca populations is the same. That research then gets peer reviewed and published in scientific journals. This kind of research is, according to Dold, Yochem, and Noren, something that could absolutely not be conducted in the wild. One of the most controversial parts of the bill calls for the current group of ten orcas in San Diego to be removed to sea pens, with the exception of Corky, captured in 1969 in British Columbia, which the bill’s backers believe can be reunited with her pod. While those testifying in favor of the bill declared how moving SeaWorld’s orcas from concrete tanks to sea pens would provide them with a more natural environment, SeaWorld’s scientific and veterinary witnesses expressed concerns that placing the whales into these partial-natural environments could be detrimental. It would be impossible to keep the orcas in SeaPens in the vicinity of San Diego, where the water temperature can reach into the 70’s for an animal whose tank temperature is at 58-62 F, according to Dolt. According to Reilly, since opening in 1964, 153 million people have visited SeaWorld San Diego. Since SeaWorld’s first orca, Shamu, arrived at the park in 1965, 150 million people have seen orcas in the parks. Dolt added that at SeaWorld San Diego, there are currently 10 orcas. The chain is responsible for 29 orcas at its parks and partner locations worldwide, and there are around 50 in all at aquariums and theme parks worldwide. When asked about how many orcas are in the wild, Dolt deffered to Naomi Rose, who shared that it is estimated at between 50,000 and 100,000. Because the sea pen idea is currently “blue sky,” without a plan in place, a number of council members were hesitant to vote on the bill. It was placed into interim study. According to the Chief Clerk of the Assembly, interim study is “the assignment of the subject matter of a bill to the appropriate committee for study during the period the Legislature is not in session.” This means the bill will likely not see committee again until 2015. To find out more about the next steps of the process, I visited Assemblyman Bloom in his Capitol office. According to Bloom, all the stakeholders will now have a role in the process. The end result he believes will be an end to captive breeding and performances. SeaWorld San Diego continues with its 50th Anniversary celebration, having just opened it’s new interactive grand entrance, “Explorer’s Reef,” and the park is preparing for a new nighttime orca show that will premiere this Summer. The move of the bill to a period of interim study will allow the park time to evaluate its approach and also to participate in discussions with others who have a stake in the matter.